Today post I will share one awesome gadget that I been loving to use recently. Do you often feel troublesome to bring too many clothes with you when you travel? No place to wash your dirty clothes? 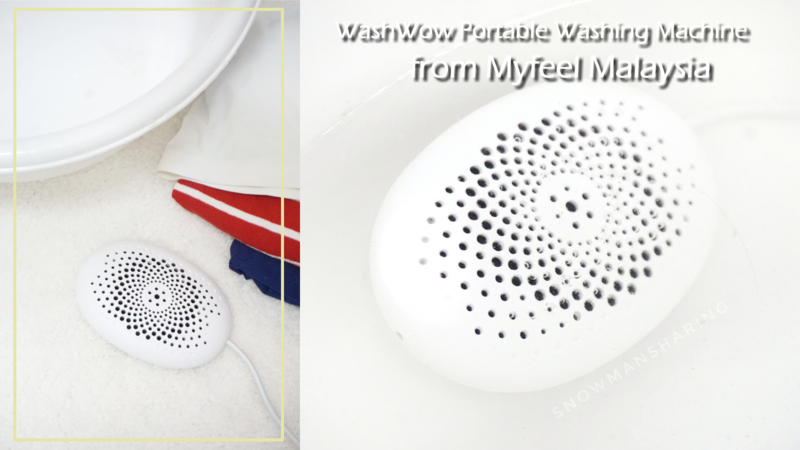 Today I will share about this Washwow Portable Washing Machine that I got from Myfeel Malaysia. 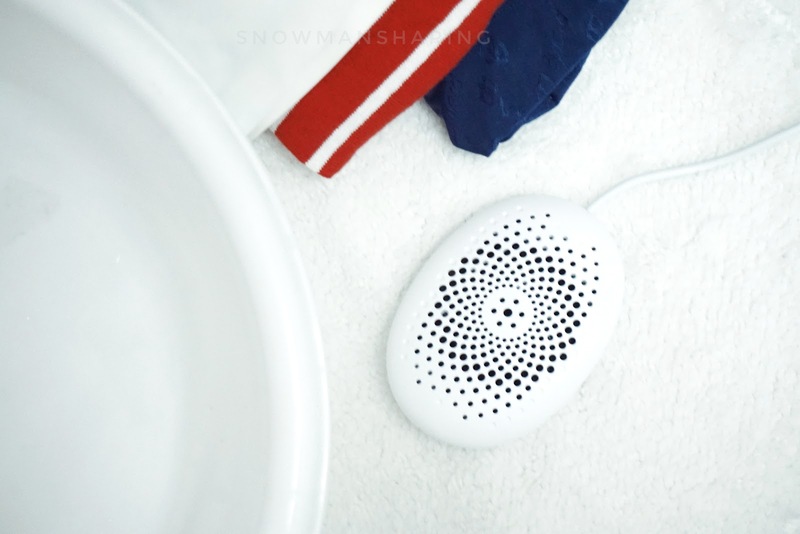 Read on how WashWow Portable Washing Machine safe your time and space when you go travel! The perfect travel accessory which small in size, and can wash your laundry anywhere, anytime. 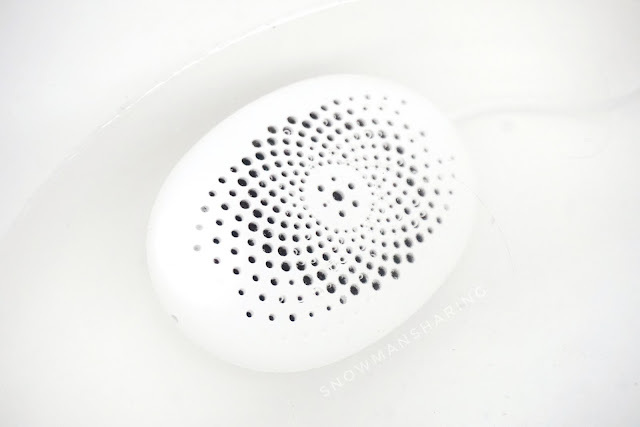 It can wash up to 5 Items, suitable even for a small load. Minimum time of approx 20 mins washes time. It is also CMA/CNAS/ilac-MRACertification. As pictured above, this portable washing machine is portable and travel-friendly. 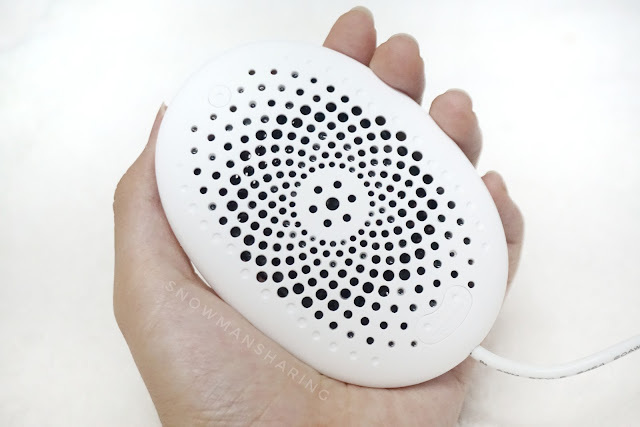 It is just the size of my hand palm, which is super cute and easy to bring around. I love how's we can easily bring this during our travel. Where you wash your small dirty clothes on the sink easily. It just needs your 20 minutes of time where you can quietly wash your clothes. 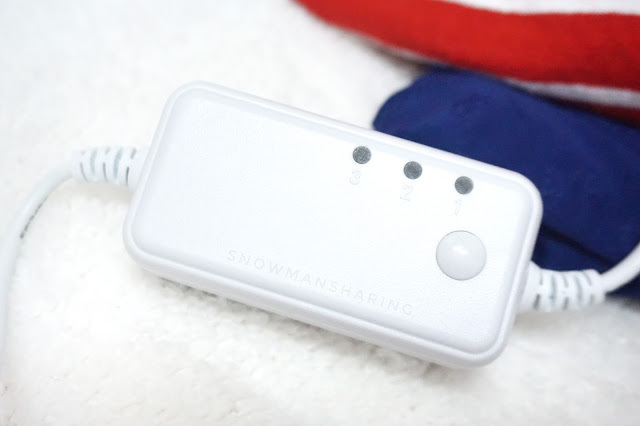 Although I feel with its white color, sometimes it might get dirty easily. However, it is to clean it after use. You can wash or wipes away the dirt or stain on WashWow Portable Washing Machine. This is where you can control the time of the washing time. From the right, Number 1 minimum time is 20 minutes of washing time, next is 25 minutes and last is 30 minutes of washing time. Base on the clothes that you are putting to wash, you can adjust your washing time accordingly. Even after you use it, this WashWow Portable Washing Machine is easy to clean after use and bacteria won't linger on the machine! Also since is a gentle cleaning, you don't have to put any stress on clothing, while it washes it helps prevent wrinkles, pills and color fading on the clothes itself. Your shirt looks as good as new too. 1. Put 1 kg of clothes into the sink or basin. 2. Fill the basin with water until it covers your clothes. 3. Adjust your washing time, and leave the clothes to wash.
4. The machine will stop itself after the washing time finish. 5. Rinse with clean water and dry up. Check out how Washwow Portable Washing Machine works. It decomposes water into hydrogen and hydroxide. 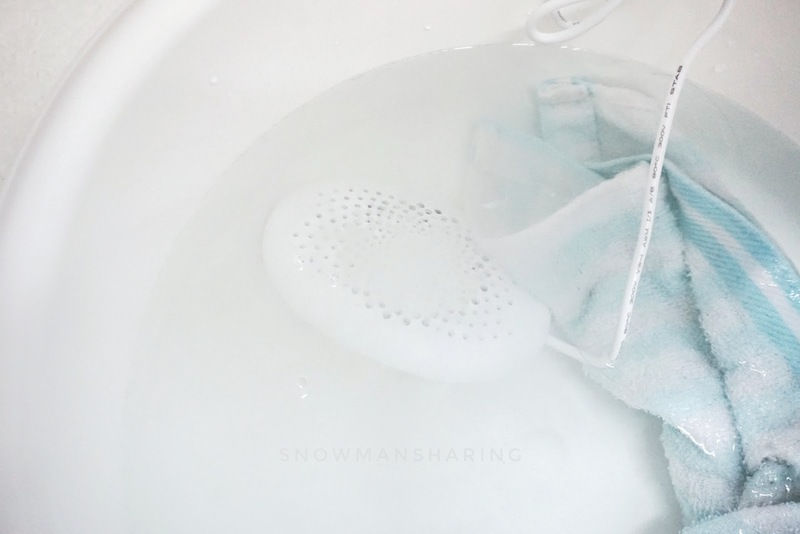 You can see there are white particles coming out from Washwow while they are washing the clothes inside the water. 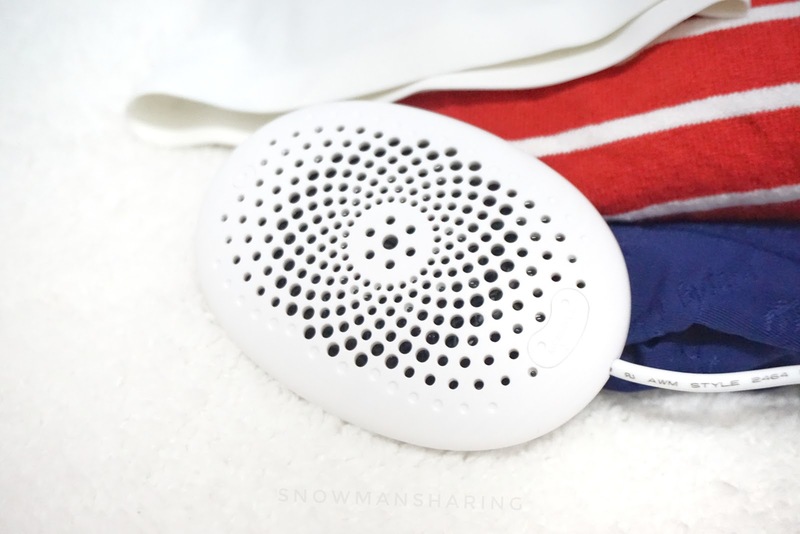 It acts as a gentle detergent while cleaning and killing the bacteria on the clothes. It is a very earth-friendly product where the process of cleaning eliminating the use of laundry detergents. Believe me or not, it can kill up 99.99 % of bacteria too! And your clothes are squeaky clean too. Check Out my Video on I unboxing and How I use WashWow Portable Washing Machine! *Even though products were sent for review purpose. However, it doesn't affect my own opinion on this product.